Free verse poetry is one of my absolute favourite writing genres for kids. 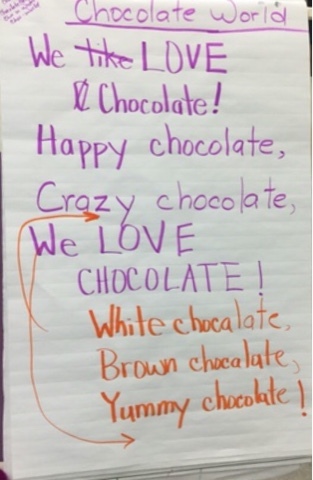 It is a genre that is accessible to even the youngest of our writers because poems tend to be short and the focus on message- what you want your reader to feel- is so clear. Like many important and practical lessons about the teaching of writing, it first came to me through the work of Regie Routman. Early in December, I did a lesson study week (my version of working in residence, see references below) in a Grade 1/2 class at Island Lakes Community School in Winnipeg's Louis Riel School Division. 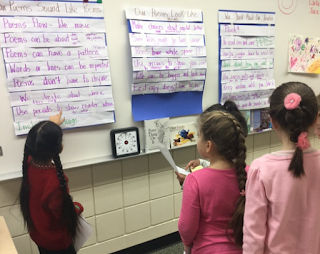 The classroom teacher began the unit of study by sharing many free verse poems with the students. After reading several, she asked students what they noticed about the poems. This list became our brainstorm list for co-constructing criteria about what counts when you are writing poetry. 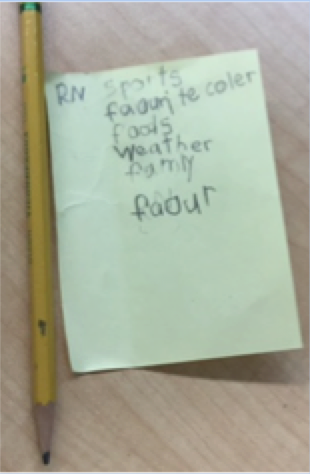 We added to it each day as further descriptions of quality were provided, first through my model of writing a poem, and then through the shared writing of poems. Both of these instructional choices require the think aloud, the metacognition that describes for the learners what is going on in the writer's mind to be really become full descriptions of quality. 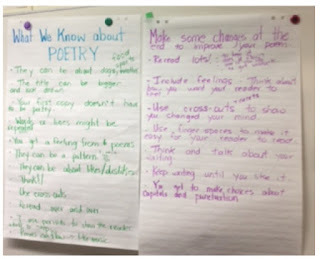 Our brainstorm list had grown to twenty things the students had noticed about writing free verse poetry. Think about how you want your reader to feel. All students- including those who are just learning English, those who are learning to write what they know and hear, and those who are sometimes reluctant to write - were now ready to write a poem from the list they had been keeping of possible topics. They were ready because they knew what the target was and had viewed and participated in the creation of samples of quality. After fifteen minutes or so of writing time, a student came to me and said, "My poem is done." 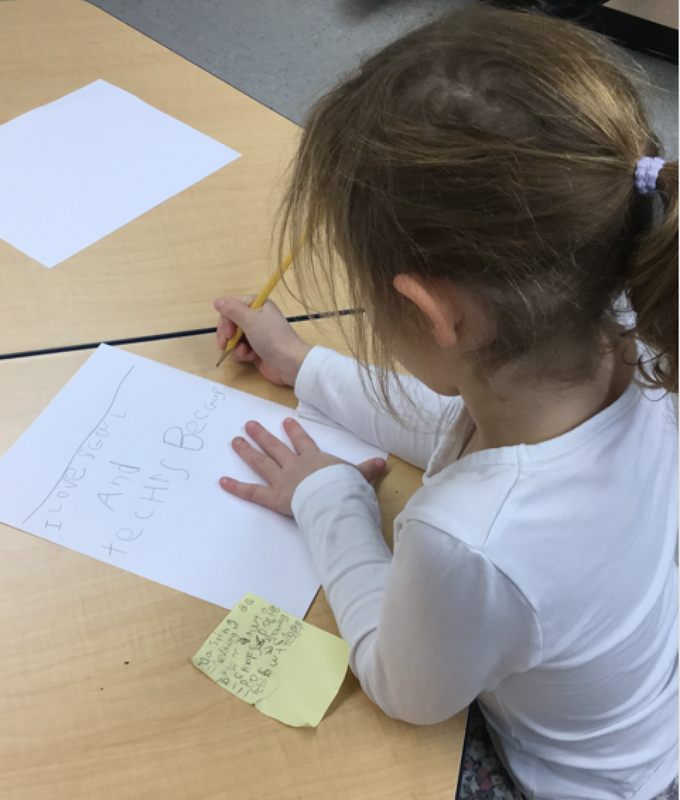 I took her over to the criteria chart and said that the next step was to look at our list and see if there was anything she might do to improve her poem - to make it just the way she wanted it for herself and her readers. I then continued to conference with other writers. When I paused to glance around the room to see where I might be needed next, my early finisher was teaching a small group how to use the criteria. Beautiful. Augusta, B., Gauvreau, R., and Hector, G. 2013. 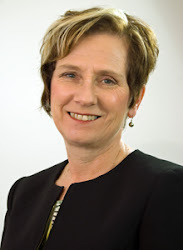 Lesson Study: Powerful Assessment and Professional Practice. Courtenay, BC: connect2learning. Routman, R. 2000. 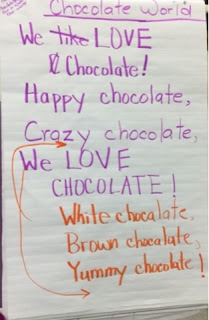 Kids' Poems: Teaching First Graders to Love Writing Poetry. New York: Scholastic.